TRAVEL.org - Washington D.C. Find hotels in DC, resorts, tickets to the Smithsonian, tour the White House. The River Inn.com - Apartment-size rooms feature full kitchen. Located in Foggy Bottom, just steps away from The National Mall, Smithsonian Institution and The White House! Avenue Suites Hotel - Large renovated all-suite luxury hotel in DC on Pennsylvania Avenue near the White House with in-house bar and lounge, meeting space, continental breakfast, and free WiFi. Marriott Wash. D.C. Dulles Airport Hotels - The Marriott offers guests exceptional service, spacious accommodations and high-tech amenities at a variety of hotels near the Dulles Airport. Fairmont Washington D.C. - The Fairmont Washington DC luxury hotel welcomes guests in capital style. Located in the fashionable West End, it’s a retreat unlike any other. Melrose hotel D.C. - The generously oversized rooms and brick wall interiors at the Melrose Hotel Washington, DC provide sophisticated travelers with a multitude of layouts, peaceful and quiet evenings and luxurious amenities. Doubletree Hotel Dulles Airport - Sterling - is a deluxe-service hotel in the Washington, DC Area, for business and leisure with parking, flexible meeting/event space, dining, fitness and business centers, a pool and Dulles airport shuttle. Fairfield Inn & Suites Washington, DC/Downtown - Our newly renovated, hip & vibrant hotel located in the heart of downtown Washington DC/Chinatown is just steps away from the Verizon Center,the White House, DC monuments and museums, and just 2 blocks from the Gallery Place/Chinatown Metro Station. Greenbelt Marriott - is a standout among hotels in the suburban DC metro area. Featuring upscale lodging near the DC Green Line Metro, and offering 10,000 sq ft of event space for state of the art meetings, and elegant weddings. JW Marriott Washington, DC - This luxury Downtown Washington, DC hotel is located on Pennsylvania Ave, just two blocks from the White House & Washington Mall area and one block from Washington's Metro system. Washington Marriott at Metro Center - is the ideal downtown Washington DC hotel with convenient access to all of DC's famous sites. Situated adjacent to the DC Metro rail system, guests of this Washington DC hotel have access to the National Mall and museums. Renaissance Washington, DC Downtown Hotel - Sophisticated and contemporary, the Renaissance Washington, DC Dupont Circle Hotel offers luxury accommodations in Washington, DC. This Georgetown hotel is conveniently situated near Georgetown and the DC Metro. Courtyard Washington, DC/U.S. Capitol - This Courtyard hotel in downtown DC is located near the Metro for easy access to all DC has to offer, including the DC Convention Center, White House, and other historic sites. Washington Marriott - in downtown Washington DC, is located steps from historical areas such as Georgetown, Dupont Circle, Foggy Bottom, and DC's central business district. The hotel is near GWU, Georgetown University and the Kennedy Center. The Ritz-Carlton Georgetown - Experience Georgetown hotel suites that redefine the essence of chic luxury. With 86 guest rooms and luxury hotel suites in Washington, D.C., The Ritz-Carlton Georgetown features plush feather duvets and stunning baths with deep soaking tubs. Topaz Hotel - A tranquil oasis in downtown Washington, DC, the Topaz Hotel is a chic, romantic, luxury boutique hotel featuring soothing decor, peaceful specialty rooms, stylish meeting/event space and unique getaway packages. Courtyard Washington, DC/Dupont Circle Hotel - The Courtyard Washington, D.C. Dupont Circle hotel's spacious accommodations feature floor-to-ceiling windows, business technology and family-friendly amenities. See our Washington, D.C. hotel in Dupont Circle and plan the perfect getaway. The Ritz-Carlton, Washington, D.C - With elegant, state-of-the art D.C. conference facilities, a spacious ballroom and impeccable service, The Ritz-Carlton offers an array of exceptional Washington, D.C. meeting venues for unforgettable events. Hotel Helix - Located in downtown Washington, DC, Hotel Helix is a glamorous, hip boutique hotel - steps from DuPont Circle – with a Hollywood style, colorful rooms and suites, meeting space, concierge, and Washington, DC vacation packages. The Mayflower Renaissance Washington DC Hotel - is a 4-diamond luxury DC hotel. Its timeless aura and abundant hotel accommodations make it a perfect downtown Washington, DC hotel for any occasion. Hotel George - Located in Washington, DC, The George Hotel is a chic, luxury boutique hotel offering business & leisure travelers distinctive service, innovative accommodations, event space, dining and unique vacation packages to Washington, DC. Extended Stay Hotels - Washington, D.C. - The best rates on Washington, DC hotel rooms for nightly, weekly, or extended stays. Rouge Hotel (in NW DC) - is a hip,stylish boutique hotel in downtown Washington DC featuring unique lifestyle rooms,spa services,innovative dining, a chic lounge, WiFi, meeting/event space and Washington DC Vacation Packages. Washington Marriott Wardman Park - The Washington Marriott Wardman Park, a Washington DC hotel, is the largest convention and business hotel in the Nation's Capital. Located on 16 acres in northwest Washington, DC, the Marriott Wardman Park is the perfect choice among luxury hotels in DC. Hotel Madera - Located in Washington DC’s trendy Dupont Circle neighborhood, Hotel Madera is an intimate, elegant boutique hotel with stylish accommodations, meeting/event space, innovative dining and exciting Washington, DC packages. Courtyard Washington Capitol Hill/Navy Yard - is just steps away from all that Washington, DC has to offer. Located directly across from the Washington Convention Center in the heart of downtown DC, the Renaissance Washington, DC Downtown Hotel is conveniently situated in the Penn Quarter district, between Capitol Hill and the White House. Renaissance Washington, DC Dupont Circle Hotel - Sophisticated and contemporary, the Renaissance Washington, DC Dupont Circle Hotel offers luxury accommodations in Washington, DC. This Georgetown hotel is conveniently situated near Georgetown and the DC Metro. Best Western Georgetown - Step up to all-suite amenities when looking for a hotel in the Washington, DC, Georgetown area. Doubltree Hotel - Situated in downtown Washington, DC, near attractions and the Convention Center, the Doubletree Hotel Washington, DC is a luxury boutique hotel with elegant rooms and suites and family vacation packages. Best Western Capitol Skyline - The all-new Best Western Capitol Skyline is a sure to delight you hotel in downtown Washington DC with luxury amenities for both business and leisure travelers. 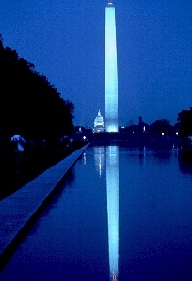 Washington Dc Hotels and Accommodations -Discounted rates on Hotel rooms, Car Rentals, Flights, Vacation Rentals. Discountedhotels.com, your complete travel resource. Hotels Max - Discount Hotels at top destinations all over the world are at your fingertips.